Known as a cellist and whale whisperer, Aussie muso Rob Knaggs is heading back to Oz after several years in Churchill. But before he leaves, he’s doing one last performance at The Handsome Daughter on Sherbrook on December 8. If you are looking for some fine music with a downunder flavour, here is more information about Rob and the upcoming performance. After four years of calling Manitoba home, whale-whispering cellist Rob Knaggs is heading back to Australia for the indefinite future. Before his departure, Rob Knaggs is teaming up with Stonewall folk darlings, Two Crows for Comfort, for a double headline show on December 8th at the Handsome Daughter in West Broadway. Recorded in Winnipeg’s West End at Collector Studio and mastered by Birgir Jon Birgisson of Sigur Ros’ home studio Sundlaugin, the new EP titled Foreshore is a continuation of Rob’s cello driven compositions that are equal parts cinematic soundtrack and enchanting post rock. Influenced by the ethereality of Bjork and the epic orchestrations of Arcade Fire, Knaggs runs his cello through an array of effects and a loop station to compose his works that have sent shivers down the spines of audiences across Australia and North America. Filled with rich harmonies, genuine, heart-warming (and breaking) lyrics, folk-roots duo Two Crows for Comfort spins stories into songs and songs into stories. Though debuting in early 2017, the Two Crows are no strangers to the stage. Having played in several popular Winnipeg groups, Erin Corbin and Cory Sulyma – often joined on stage by local, notable musicians Ben Mak-Wiebe and Lachlan McLean – finally joined forces to begin a journey of their own. After a soft release in the summer, Two Crows are excited to officially celebrate their debut full- length record, 17 Feet. Rob Knaggs and Two Crows for Comfort are performing two shows at the Handsome Daughter, 61 Sherbrook Street, on December 8th, first performance is SOLD OUT, but can still catch the later show at 10pm. Tickets are $15 and will be available from Rob’s website and Two Crows’ website or visit the event page on Facebook. This entry was posted in Australia, Events, Invitation, Winnipeg on November 23, 2018 by Jenny Gates. 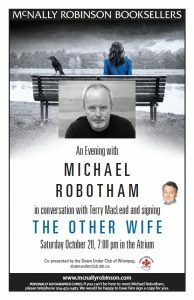 You are invited to an Aussie author book event on Saturday October 20 at 7:00 pm at McNally Robinson (Grant Park). 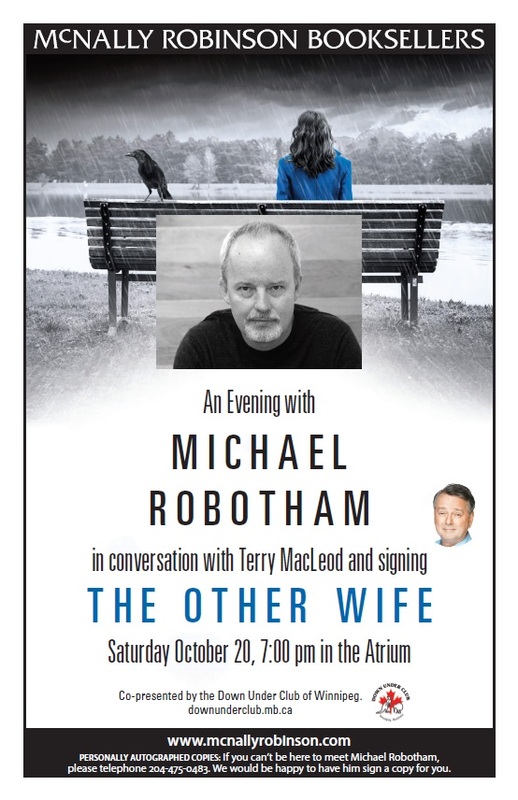 One of the world’s most acclaimed authors of thriller fiction, Aussie Michael Robotham will be in conversation with Terry MacLeod, after which he will sign his latest book “The Other Wife” (Little, Brown and Company). Childhood sweethearts William and Mary have been married for 60 years. William is a celebrated surgeon, Mary a devoted wife. Both have a strong sense of right and wrong. 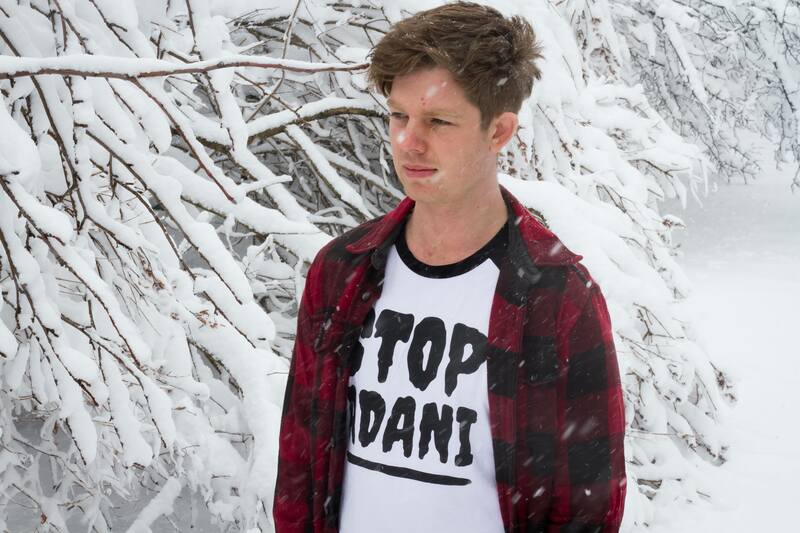 This event is being co-presented by the DUCW, and we would love to have a big turnout of members and friends to welcome Michael and hear about his work. You might even see a familiar face introducing Terry before he introduces Michael. How exciting! Michael has been an investigative journalist in Britain, Australia and the US. His series of psychological thrillers featuring psychologist Joe O’Loughlin have sold millions of copies around the globe. Robotham lives in Sydney with his wife and three daughters. Host Terry MacLeod is an independent Emmy-nominated journalist, Queen’s Diamond Jubilee Medal Recipient, and former CBC Radio and TV host, presenter and producer. For more information about the event, check out the write-up on the McNally Robinson website. This entry was posted in Australia, Events, Invitation, Winnipeg on October 10, 2018 by Jenny Gates. AFL Grand Final this Friday night! Join us this Friday September 28 for the 4th Annual AFL Grand Final Night in Winnipeg. Members and friends of the Winnipeg Bears Australian Football Club and the DUCW will be at Boston Pizza, 1475 Henderson Hwy, from 9:30 pm onward. The Aussie Rules football grand final is the biggest event on the Australian sporting calendar, and will be broadcast live from Melbourne. 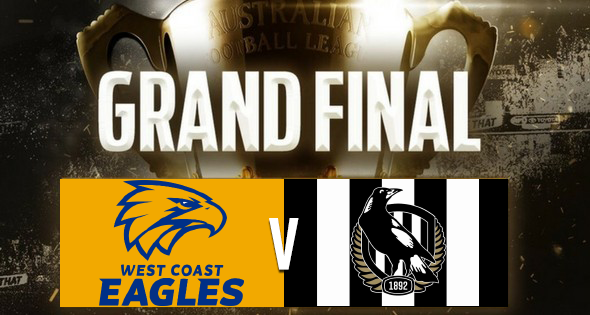 This year it’s the Collingwood Magpies versus the West Coast Eagles. The large projector screen will be going, with all the pre-game live music and, of course, a rousing rendition of the Australian national anthem. Can we top last year’s effort?!?! Yes, we can! No need to RSVP. Just turn up and be part of the event. Family and friends welcome. More details at the WBAFC’s Facebook page. This entry was posted in AFL, Australia, Events, Winnipeg on September 26, 2018 by Jenny Gates. 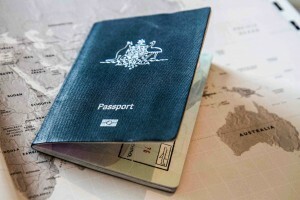 Need to renew or apply for your Australian passport? Representatives of the Australian High Commission in Ottawa are coming to Winnipeg on Tuesday August 28 to conduct passport interviews and address related concerns and questions. Note that you need an appointment for each application lodged. If your passport is due to expire, this is your chance to have it renewed and save yourself a trip to Ottawa or Toronto or Vancouver. To book at appointment, visit: http://canada.highcommission.gov.au/otwa/01.html . And if you have any questions, please email the AHC at otwa.passports@dfat.gov.au or phone 1-613-236-0841. Book now and make sure you get an appointment before they all fill up. This entry was posted in Australia, High Commission, Winnipeg on August 13, 2018 by Jenny Gates. 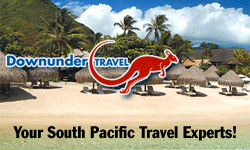 Calling our Aussie members and other Australians living in Winnipeg and Manitoba. If you need to renew your passport, or if the newest additions in your family need to apply for a passport, the Australian High Commission in Ottawa would like to know about it. Please visit their website and complete a very short survey so they know to visit Winnipeg in 2018. Several of us who need passports renewed this year have already filled out the questionnaire, and the more people who the AHC know about, the more likely we will be on their “must visit” destination list. Save yourself a trip to Vancouver, Toronto or Ottawa this year or next, and help us bring the AHC to town. Questions? Email us at info@downunderclub.mb.ca. This entry was posted in Australia, High Commission, Winnipeg on July 2, 2018 by Jenny Gates.